TEN students in Port Moresby will be trained for eight weeks by Kina Bank in partnership with Project Yumi Inc (PYI), a not-for-profit organisation. Kina Bank chief executive officer Greg Pawson said the students, from grades 10 to 12, were children of the staff. They will receive training on how to prepare for a job coached by training coaches from PYI or Kina Bank’s senior managers and staff. They will be taught about expectations in a workforce environment, writing resumes and interest or job application letters when looking for jobs, and presentation in an interview. This is a second batch of students. The first group of 12 students underwent similar pilot programmes late last year. PYI, through its initiative ‘Project Wok’, is sponsored by Kina Bank. “It is a youth development programme” Pawson said. “The theme is creating the workforce of the future. “At Kina Bank, as a major employer in Papua New Guinea, we have a social and moral obligation to help the youths. “Employment is a major problem. Our staff, their children, are participating in the first two pilot programmes, which I think is really good. PYI founder and director Renee Mero said PYI’s mission was to be a beacon on positive change for Papua New Guineans. “We deliver educational and medical resources,” Mero said. 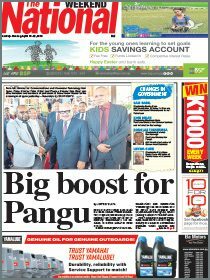 “We are also trying to implement initiatives that show the full capability of PNG youths. “There are a lot of issues with unemployment here. 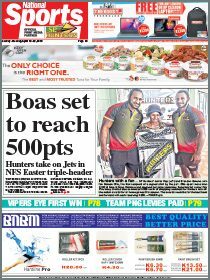 “It is making sure that PNG nationals can obtain jobs and show their capabilities. “We recently have delivered a 20-foot and 40-foot container of medical and educational resources.